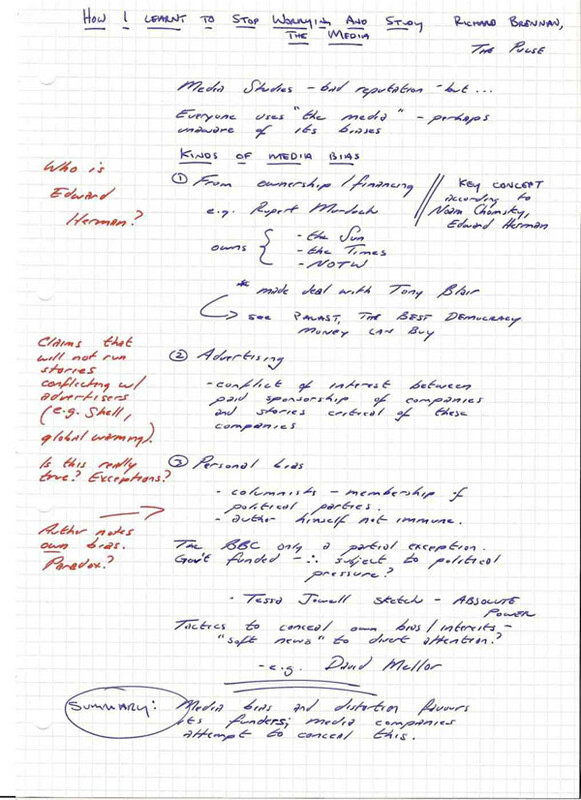 Here are three different note-making styles: standard format notes, pattern notes and split page format. Choose a method you like and that suits your purpose. 2. Use sequences at different levels of importance so that minor items are not confused with major ones, and items on the same level are linked visually. Pattern notes are more visual. 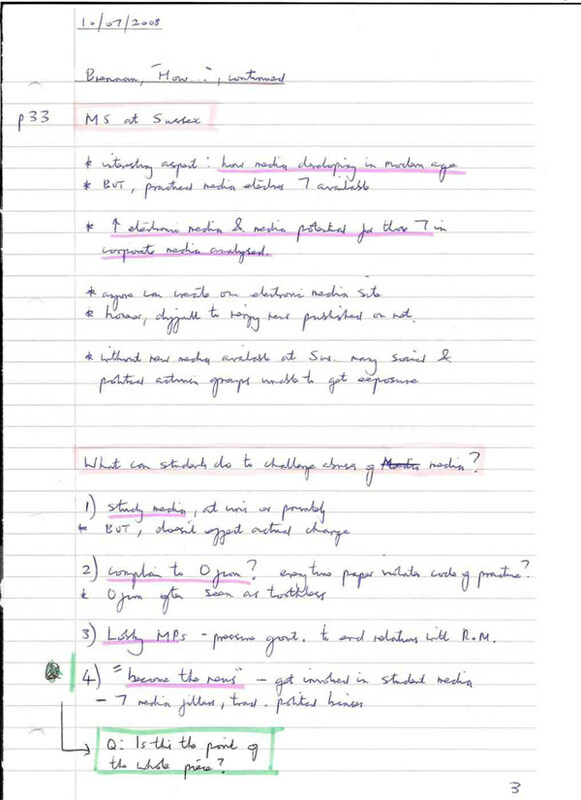 Start by writing the main topic in the centre and add related ideas. Make links between ideas where appropriate. 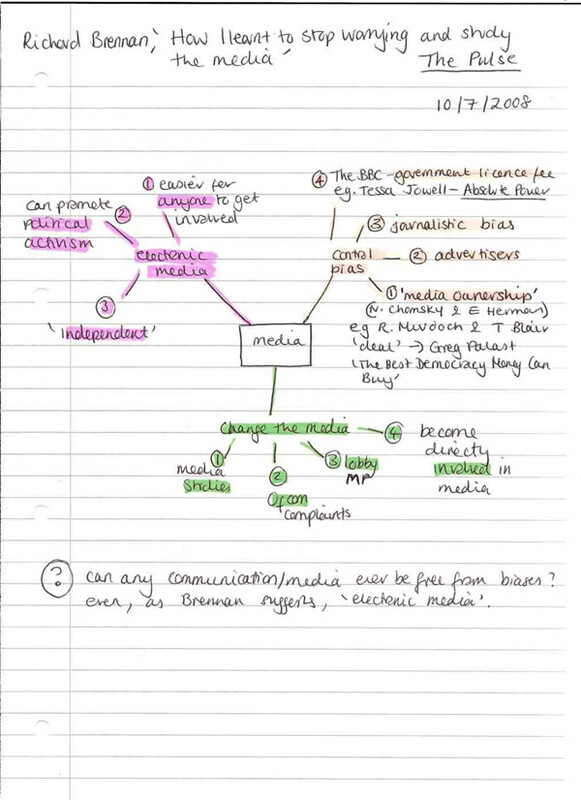 You could use mindmapping software such as MindView or Mindmeister, so you can adapt and develop your notes when you have new ideas. MindView allows you to export your notes as a Word document and automatically transfers the mindmap structure into your new document. 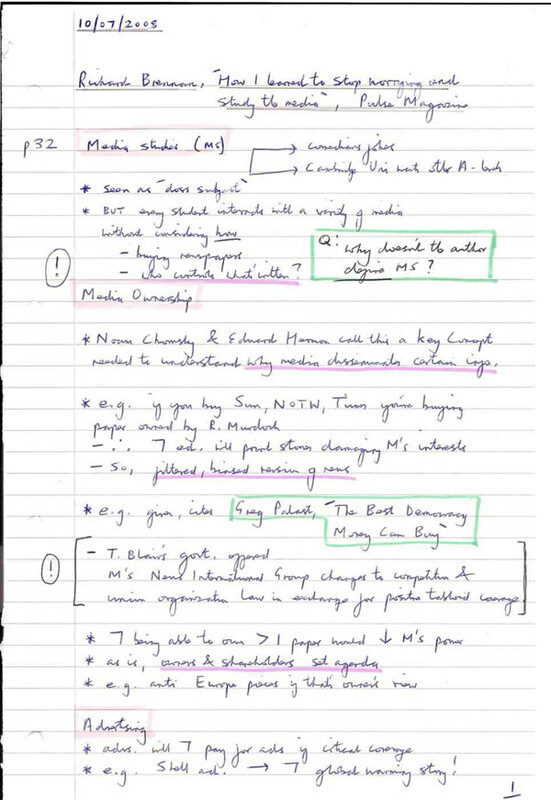 Split page / Cornell System: divide the page into 3 sections with your own comments and questions on the left, standard notes on the right and a summary at the end. 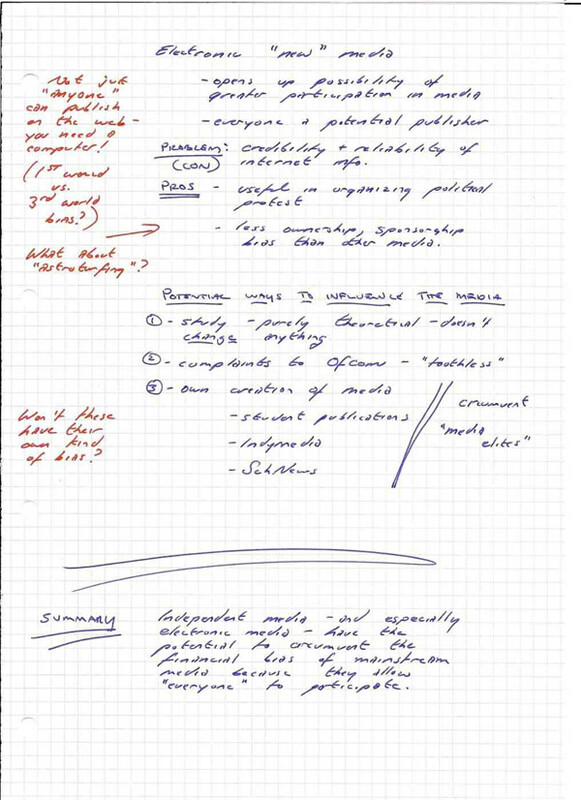 Read more about note-making and try it out here: Making notes. 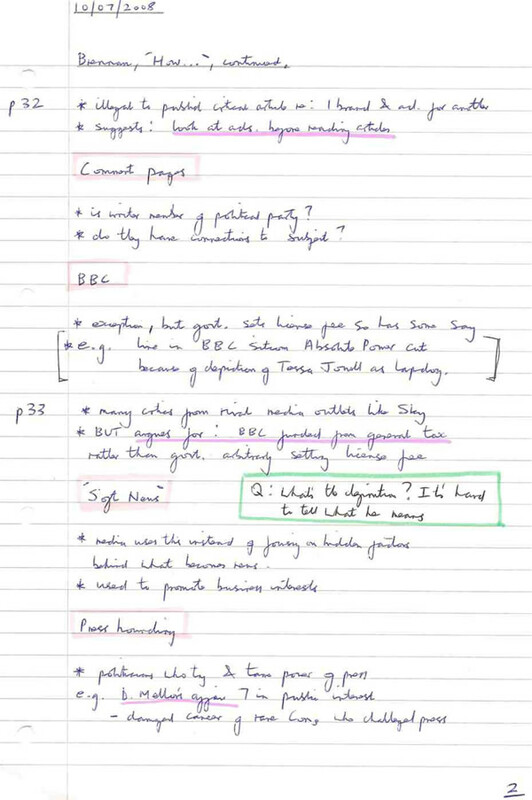 These notes are based on an article written by a former Sussex student. It is only an example. You should use credible academic texts as sources for your own work. Use Skills Hub for help with evaluating information.